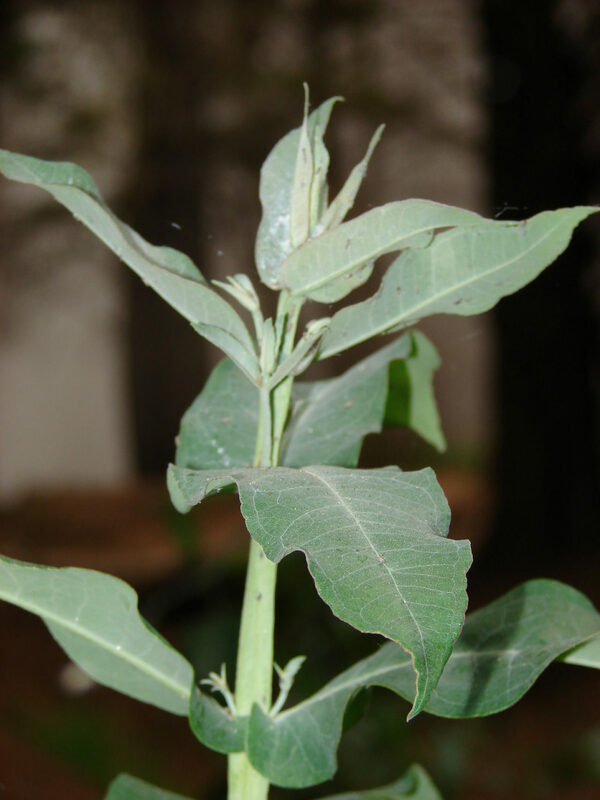 Blue gum eucalyptus is a tall, fast-growing tree with blue-green leaves and shaggy bark. 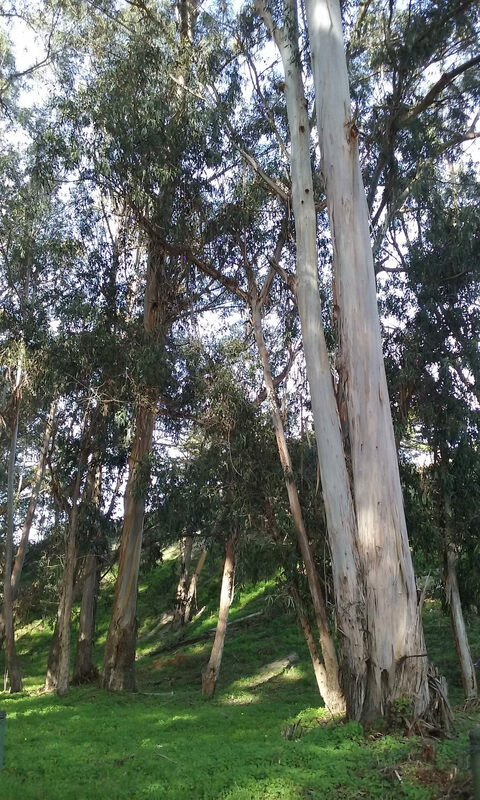 It is easy to know when you are standing in a eucalyptus grove because of the sweet menthol smell and the long strips of bark, dead leaves and hard brown fruits blanketing the ground. 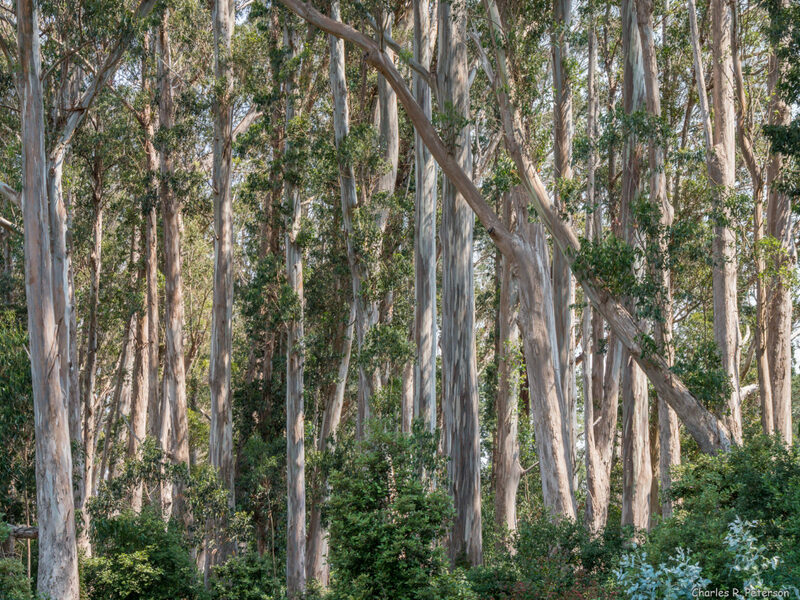 Eucalyptus was brought to the US from Australia for ornamental and construction purposes, though the wood has proven to be unsuitable as lumber. How does blue gum eucalyptus spread? 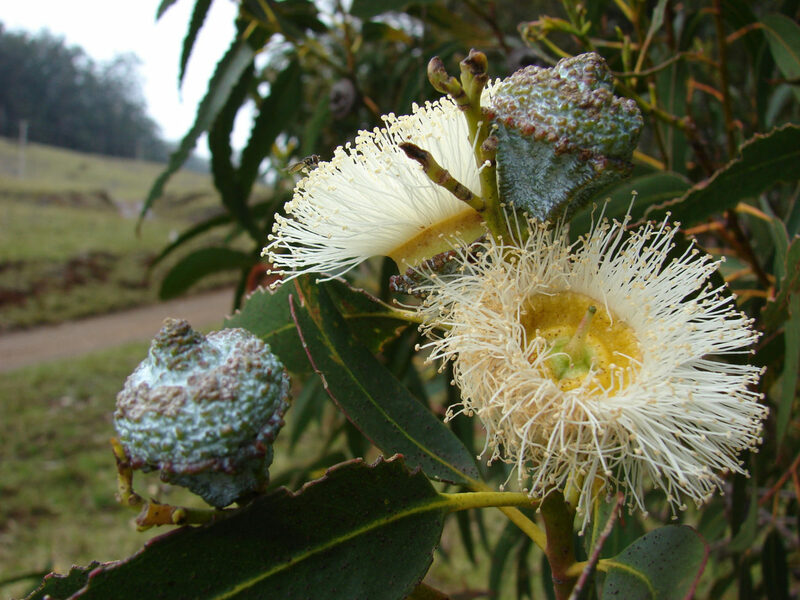 Eucalyptus reproduce by seeds released from capsules on the tree. Where is blue gum eucalyptus found? 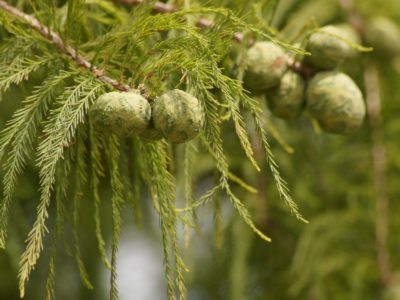 These trees grow in well-drained, deep soils. 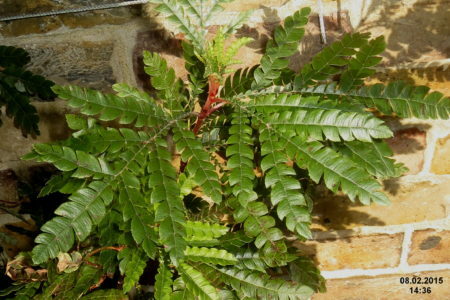 It is found most widely in the northern and southern coast ranges of California, but is also inland below 1,000 feet. What problems does blue gum eucalyptus cause? 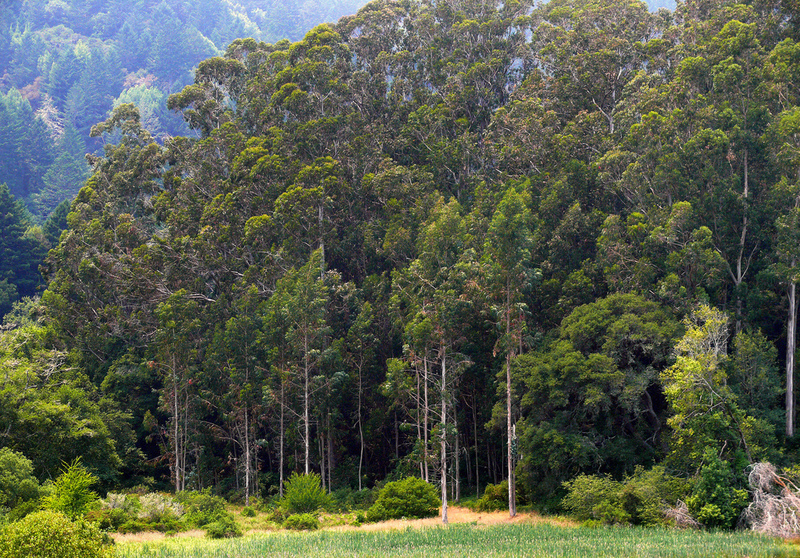 The bark strips, leaves and branches that litter the floor of the eucalyptus grove contain chemicals that inhibit the growth of other plants. This litter is also flammable, and under some conditions can produce drifting burning materials. For example, the intensity and difficulty of the Oakland Hills fire was due in part to the high density of eucalyptus trees. The shallow roots and large branches of eucalyptus trees also raise the risk of a tree falling and causing damage, especially in urban areas.